Richard Harris and Sir Alec Guinness star in this sweeping, handsomely-mounted epic drama recounting the battle which raged between the monarchy and a commoner over the very soul of Great Britain. In 17th-century England, ambitious country gentleman Oliver Cromwell (Harris) dared to challenge the political oppression and corruption which besieged his nation. Watching his power being usurped by a commoner, King Charles I (Two-time OscarŒ-winner Guinness, 1957 Best Actor, The Bridge on the River Kwai; 1980 Honorary Award) springs to challenge his adversary. One man will become absolute ruler; the other will be executed. 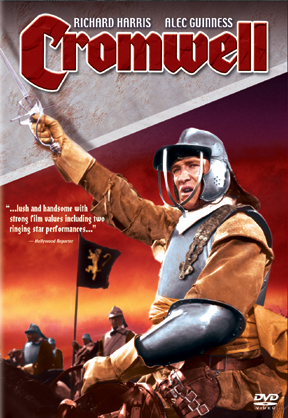 Rousing battle sequences, excellent lead and supporting performances from Robert Morley, Dorothy Tutin and Timothy Dalton, AcademyŒ Award-winning costume design and spectacular photography by renowned cinematographer Geoffrey Unsworth (Cabaret, Tess), make CROMWELL an outstanding historical drama in the tradition of Braveheart .